So many people think that learning Spanish is next to impossible, but we don’t agree. We have found some tools that have made a world of difference for us while living in Spain. No, we aren’t perfect and please don’t give me a written spelling test! Our goal was two-pronged: 1. To immerse the kids, so they can become fluent. 2. Parents will do our best to improve our Spanish and communicate our needs. ( I will confess I had high hopes of becoming fluent) The goal for us parents, isn’t a cop-out and not that we don’t want to be fluent. We are also working on several projects, continuing our education, writing eBooks, keeping up the blog, and trying to get a location independent business off the ground and flying. So I guess you could say we are juggling quite a bit and Spanish was the main focus for the kids. We set up a few of the kids favorite TV shows to play in Spanish. This is usually possible with a few changes to your program settings. These are shows they are very familiar with and thus listening to them in Spanish was helpful. They could predict the show and hear the words. Sometimes we would turn on the subtitles as well, so they could see what the English translation was. (TV Shows: Dora the Explorer, Sponge Bob, Phineas and Ferb etc). Many of these are also available on-line. The kids had Spanish in school twice a week from preschool through elementary. This was very basic and at least gave them exposure. They could easily cover their colors, numbers and a few other basics. By no means would they be fluent in Spanish with this exposure, but every bit helps with building confidence. For 3 months prior to our departure, we had the kids in private Spanish lessons. It was more of a play, sing, and learn Spanish in a private home. There were 4 students and they met twice a week for 1 hour. This really boosted their confidence and built up their vocabulary in a fun setting. They learned songs and we had fun singing them, just the other day. Songs are a great way to learn, I mean come on and admit how many of you still sing their ABC’s song? Their favorite song was “Sun, Sun, Mister Golden Sun, Please shine down on me”. We also did Pimsleur Spanish. For me personally, this was the best, prior to us moving! I loved the learning style and found that I really remembered what I learned. You are to do only One thirty minute lesson per day. You can repeat that lesson as many times as you like, but just that one lesson. I completed 24 of the 90 days, prior to us moving to Spain. I especially liked how each lesson builds on the previous and then the reading material helped as well. I felt very confident for most of the standard situations I would find myself in. The plan was for me to complete the course once we were in Spain, that has still not happened. The trick to Pimsleur or any other program is You Have To Do It! How have we been Learning Spanish, while Living in Spain? Alan and I attended a 90 min Spanish Class 2 times a week for the first 4 months. This was great for socialization, grammar, and new vocabulary. Our teacher had us bring in a news article and we had to read and discuss it as a group, in Spanish. This was great, but it was expensive at €50 each a month, we felt our money would be better spent on other things. We also learned of a course offered via the community center for €20 per month each. We decided that we would wait to join that course, as we had a couple of months of visitors scheduled. Well, the visitors came and went and we found out the course was going to stop for the summer. That was okay with us, as we had summer travel plans. We were going to pick it up on the Fall and well that just didn’t happen. We have been spending our time trying to earn a little money instead. We communicate well in stores, shops, the market, restaurants and most public situations. We can get by just fine and we are understood, though I am sure we aren’t conjugating our verbs properly. Everyone is so nice and they seem to understand what we are say, so it works. Full immersion in school for the kids. It took about 4 months to be confident and now after 16 months, they don’t miss a beat. They are fluent Spanish readers and are right on par with the rest of the kids in their class. In the beginning we watched 30-60 min of kids Spanish TV on-line most days (Dora the Explorer, has been the most helpful thus far. In Spain, she teaches English. I will watch a show and within a day or 2 actually use several of the words learned. I can pretty much watch that show now and understand everything!) This tapered off for the kids after 4-5 months, as they were “getting it” and didn’t need as much help. I also just started to tinker with an online testing site Duolingo. So far I am having fun with it. I was feeling a bit cocky and thought I would test out of a few of the basics, but turns out I need to learn how to spell in Spanish! HA! I can understand and speak, but when it comes to spelling and knowing the masculine and feminine, I need some work. I will continue to play with this. Some others have recommended LiveMocha, but I haven’t used that yet. Honestly, the best learning is to just get out there and interact with the people. Full immersion is the quickest and it proves that just doing it works. Do what you can before you immerse, but you will blossom once here. Here is a game we play to help us along Purple Chicken. Should you learn Spanish before you arrive in spain? We think it is helpful to at least have your basic manners and counting under your belt before you arrive. There are very few locals in town who speak English fluently, so do your best to speak the local language when you can. Once you arrive, there will be local options for Spanish language classes, but the options below can be done before or after you arrive. Synergy Spanish is our favorite to allow you to feel confident right from the start. It helps you build an instant vocabulary using English words as your base. There are certain rules which are easy to follow and before you know it, you have a good vocabulary. For example if a work in English end with “tion” (celebration, constitution, etc), when learning Spanish you will see the ending just changes to “ción” (celebración, constitución, etc). It is amazing how fast you will learn Spanish! Click on the image or link to learn more about Synergy Spanish Click Here! Pimsleur is also a great way to learn Spanish as well. It all depends on your learning style and how dedicated you are. Pimsleur follows the style of listening and repeating. Each session is just 30 minutes and you will be amazed at how quickly you can pick it up. Of course you can repeat any session until you are comfortable to move on. Each session builds on the previous one, so don’t skip ahead. This is very nice to just limit yourself to 30 minutes a day and see how much you learn. Click here to learn more Pimsleur.com , or Click on the image below. The cool thing about FluentU is the way they’ve arranged the “classes”. If you want to learn in a passive way, there is audio for both words and their use in sentences. Once you’ve learned the lesson, you presented with quizzes. But they don’t feel like quizzes. Learn more about FluentU Here! FluentU is a new way to learn a language. Read our review here! 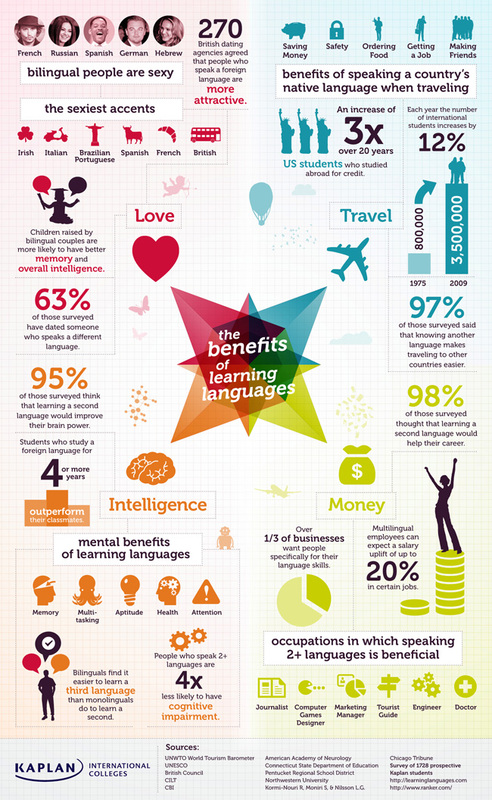 Rocket Languages knows more about learning a new language than anyone on the planet! They offer multiple award-winning language learning courses used by more than 1,200,000 people, just like you, to master a new language. With more than 1,400 5-star reviews you can be comfortable knowing that their products are high quality and engaging. Their language learning system is based on both science and the practical success strategies that polyglots (people who speak 5 or more languages fluently) use. And their Spanish courses give you the best bang for your buck, as every course has more than 100 hours of repeatable tuition. Rocket Languages is Amazing! Click Here to learn more or on the image below. Of course we can’t forget full immersion! One of the best ways to learn Spanish is to live it every day. Speaking with the locals or attending a class will really advance the process for learning Spanish. See how the Wagoners Abroad kids were speaking Spanish after 18 months of living in Spain and attending public school. Whatever you do, have fun with it. We need to get back on track, as it is important to us. That said, so is keeping our dream of travel going. Of course we have our kids interview series on Wagoners Abroad YouTube Channel. We are due for a new video, so check out the kids speaking Spanish! * Please note: There are some affiliate links on this page. We only recommend what we believe in and if you make a purchase, we will receive a small % of the sale. This entry was posted in Education, Language and tagged education, Kids Education in Spain, learn Spanish, Learning Spanish, Learning Spanish Language, Spanish as a second language, Spanish Immursion, Spanish language by Heidi. Bookmark the permalink. Te voy a escribir en español para que vayas practicando jeje! Un post muy interesante sobre como queréis hacer una inmersión en mi cultura y mi idioma. Os deseo toda la suerte del mundo, yo ahora estoy haciendo esa inmersión en Estados Unidos. Si necesitáis cualquier cosa, ahí tenéis nuestro correo. Un saludo, Pedro. Thanks for stopping by Pedro! We love NY and have family there. I understood everything you wrote! I admit I used google to translate my reply as my Spanish writing is terrible. Entendí todo lo que escribió! Admito que utilicé google para convertir mi respuesta como mi escritura español es terrible. I too found kids shows and songs to be a great way to learn Spanish. That way you’re not really working at it, just having fun! Are you fluent Nelson? We were so focused in the beginning and now we adults are constantly planning travel, “working” and not making much time for it. I have to admit even a little gun shy around the kids. They are so advanced compared to us. Although not impossible, Spanish is tricky. Especially the grammar. We’ve learned most in intercambio sessions down the local bar/cafe as well as by playing football. Although, we couldn’t use most of the vocabulary we’ve learned on the pitch in polite society. I tried the duolingo myself but as we mostly only travel to Mexico these days (we are just north of San Diego) and I’m not certain the words I am learning are Mexican words, I backed off. I know Spanish from school but even that can be confusing in Mexico. Like you said, I think speaking and hearing it is the best way to learn although it doesn’t hurt to have some vocabulary so you can at least blurt a helpful word out if needed. Yes Anne, just doing it works well. I need to make time and quit planning all of these other trips! I found a Spanish boyfriend! In all seriousness, I think attitude and willingness to go through the frustration of learning a language had a lot to do with me becoming fluent here. I wasn’t willing to go home after a year or two in Spain without being able to maintain a conversation, and I considered any milestone as if it were a huge one. Well that is one way of doing it Cat! We can have pretty good conversations with kids. Wee can hold our own at the school gate or birthday parties with parents. It just isn’t just flowing off the tongue yet. Great posts. I especially love when Americans talk about languages, because when I met Americans they are always amazed if you can speak more then one language. 😀 . I only speak Danish and English and a little bit of German. Right now I’m not very good at Spanish mostly because I don’t speak it enough. I tried Dualingo and it’s really good. Right now I’m in Mexico and its true that you learn Spanish from Europe and not Latin Spanish with the app, but you still learn a lot with it. I know more words and I actually get the way that they use grammar because of Duolingo. It’s great. I love that you are using movies to become better at Spanish. Do you know if it’s possible to find Disney movies online? I don’t want to buy DVD’s because I travel all the time. I don’t think that Netflix have any Disney movies. Hey Hans, thanks for stopping by and leaving a comment. It’s exciting that you are in Mexico. That place touched my heart over 20 years ago and I just love it all. What part of Mexico are you in or do you roam? As far as the language, yes the on line tools help. I think I made the biggest strides with the Synergy Spanish. I am still not fluent, but that leaped me into sentences like “I am going to go to the store now” instead of my former caveman (cavewoman) speak “go to store, now” type sentences. We meet so many people here that are have at least 3-5 languages and that seems to be the norm. Communication is key and we Americans need to step up and at a minimum learn Spanish! As far as movies in Spanish, we just search YouTube for “sponge bob in Spanish” or “Disney movies in Spanish”. We may not find the movie we are looking for, but there are plenty of options. Best school in spain to have my children attend and the school your children attended? Hi Veronica. They attended a local school in Almunecar named La Noria. It is likely the smallest primary school in town and that is what we liked about it. If you want a listing of all the schools, check here > http://almunecarinfo.com/schools-in-almunecar/ . Hola, love your blog! This post is one of many I have found very helpful. I just joined LiveMocha and already I can see it will be helpful for conversational Spanish. For improving written Spanish, I think Duolingo is a great, free option. The game aspect of Duolingo also helps keep me interested. Awesome Alana, thanks for your input. Are you living in Spain or planning to? Are you still living on a NON Lucrative visa in Spain? If so for how long? What does NON Lucrative mean exactly? Hey Wendy, yes we are. non lucrative means we can’t work in Spain, you know earn a living here. We have to prove we have enough funds to support ourselves without working here. The first issue of the visa is good for a 1 year temp residence card. After that you can renew and obtain a 2 year renewal. After that you can apply for another 2 year renewal. Come August (after 5 years), we will be able to apply for the long-term residence (another 5 years). With that last one, we will be able to work. I hope that helps. We can help with the non lucrative as well as the retirement. The difference between them is the non lucrative is more of showing you have a lump sum of money and retirement shows you have a steady monthly flow of a pension or the like. Feel free to contact us if you have any more questions. We also offer consulting and have a ebook (Live in Spain) which will save you countless hours of internet research. I hope that helps.